It was highly unusual, and very atypical, for the Italian wine world. 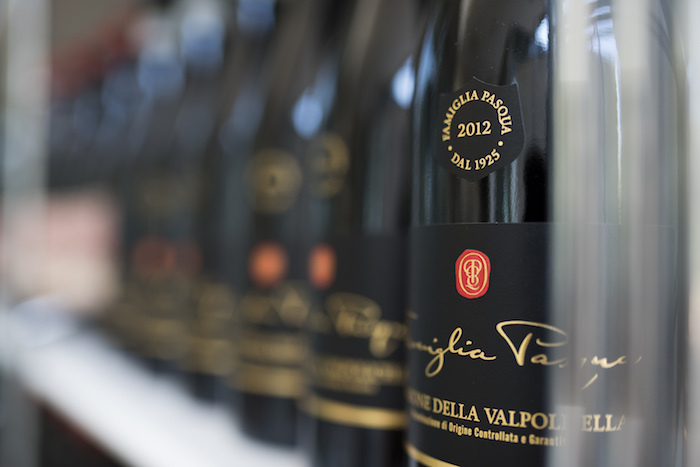 Last month in Milan, an individual winery from the Veneto region called Pasqua Vigneti e Cantine held a press conference where they shared publicly, to a room of about 70 journalists, the results of a research project that they commissioned from Wine Monitor – Nomisma. It wasn’t unusual for a winery to hold a press conference. It wasn’t unusual that they’d discuss their revenue growth and highlight the strengths of their annual report. It wasn’t unusual that they’d reveal a clever new marketing campaign (“Talent Never Tasted Better”) that features young, local innovators in the restaurant, dance and art fields. What was unusual was their sharing of research that they’d commissioned themselves, in order to contribute to the “community of Italian producers, to be stronger all around the world together,” in the words of Riccardo Pasqua, the winery’s Amministratore Delegato. I couldn’t agree more, both as a fan of Italian wine and as an advocate for collaborative relationships that benefit the industry as a whole. So what was this research? And is it actually helpful to other Italian wineries? Only if they’re interested in selling wine to the US market. Pasqua commissioned Wine Monitor to study fine red wines in particular, to compare France’s Grand Grus with Italy’s denominations, and to identify promising markets for growth. (Secret’s out. It’s Texas.) More information is here, publicly available. Please be in touch, as always, with any suggestions or questions, and thank you, as always, for reading. First thing this week is to say Thank You -- to those of you who read these posts, those who comment, and those who challenge us with your queries. We'll be taking a break from Enolytics 101 next week to spend time with family for the Thanksgiving holiday, and we'll be Giving Thanks for this new community that's growing and evolving this year. There's lot of work to do before the end of the year, and one of the presentations I'm anticipating the most is in early December at Wine2Wine, VinItaly International's conference in Verona that's dedicated to the business of the industry. I was asked to pull together a panel on big data to discuss how conference attendees (mainly Italian wine brands) can use big data in order to sell more wine in the U.S. So on this panel, team leaders from Ferrari and Frescobaldi wineries will speak to how they utilize B2B data for the U.S. market; Ferrari will also discuss the impact of their social media success (think Emmy Awards, Lindsey Vonn, and some 90+ million impressions). My contribution will be to add the consumer perspective from our data partners, and to explore how the B2B applications jive with B2C. Here specifically are the queries we're making on behalf of those two brands, of wine consumer data records within the U.S.
Frescobaldi and Ferrari already have an understanding of these queries from the B2B perspective. What's new is seeing the queries from the perspective of the consumer. It should be interesting! And I'm looking forward very much to sharing with you the results. PS Several of you have asked about the "moonshot" question I mentioned last week, on how big data can help design wine labels that are more consumer-appealing. Meininger's Wine Business International, whose editor-in-chief Felicity Carter is the fourth member of our big data panel, published my more detailed explanation of the question this week.